In certain parts of the world, tea preparation has evolved into complex and often deeply spiritual ceremonies that can take a lifetime to master. The rich symbolism, the importance of each minute detail and the careful selection of the paraphernalia, are all a part of the mystery and charm of the tea making ritual. And yet brewing that perfect up of tea by no means has to be a daunting task. You just need to be mindful of a few key points, which vary slightly depending on the tea type that you would like to brew. There is no one general rule that encompasses all the types of tea, but the points listed below should help you enjoy your cup of tea to the fullest. Perhaps you will even be able to turn tea brewing into your very own daily ritual, a simple moment of calmness and mindfulness among the whirl of daily life. Although tea bags are seen as the more convenient of the two, they often compromise on the actual tea leaf quality and also offer a smaller range of teas. Larger grades of tea or certain herbal ingredients often can’t fit in the tea bags, resulting in broken leaves or ground up herbs. Even though this allows for a faster brew, such teas generally lack the depth of flavour, especially that there usually isn’t enough room for the tea leaves to brew properly. This is why tea connoisseurs tend to avoid teabags. However there are more specialist solutions available on the market, a good example being our own pyramid pouches. Opting for loose leaves allows you to choose any of the teas available on the market and to brew it according to your own preference, especially when it comes to the amounts used. Long leaves, large herbs and spices, and whole fruits can be easily brewed this way without compromising the flavour or quality. However, as tea leaves do eventually turn bitter if steeped too long, it is essential to use a paper filter, an infuser or a teapot with a strainer with loose lead teas, rather than leaving it directly in the pot or mug. However, with all the different shapes of paraphernalia out there, obtaining a tea infuser or a cute teapot can add to the whole experience of tea drinking. Water quality is crucial for a good brew; it needs to be fresh and cold, ideally purified or from a spring, to ensure that the infusion’s flavour is not altered and the colour is bright and appealing. Any water that has been previously boiled will lack in necessary oxygen, which will result in a flat tasting tea. On the other hand, hard tap water, especially from the hot water faucet, will often leave an unsightly film of calcium) on the surface (‘tea scum’) and the liquor will lack in ‘brightness’. Yet having said that, distilled water is also a poor choice due to its lack of minerals, which enrich the tea’s flavour. We believe the best solution is to use filtered water where possible, this way avoiding unnecessary chemicals which can affect the flavour, especially of the more delicate teas. 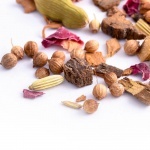 The common misconception seems to be that you can brew all the teas in the same way. Unfortunately, that is not the case. The important thing to remember is that different tea types require different water temperatures and brewing times. 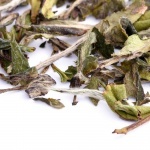 This is because the more delicate leaves, especially those of the white and green teas, are easily damaged by higher temperatures, causing them to turn bitter. 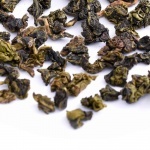 Oolong teas are also susceptible to this and the only teas that can be safely brewed with boiling hot water are black teas, as well as herbal and fruit infusion that do not contain actual tea leaves. The actual water temperatures for different teas can be quite precise, ranging from 60°C to 100°C across the various tea types. Yet, when brewing the more fragile leaves, it is often enough to pour the water into an empty teapot or mug and leave it to cool for a couple minutes first. Steeping any kind of tea leaves for too long will result in a rather bitter drink. 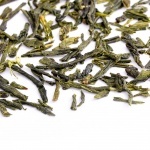 In fact, ‘over brewing’ tea, especially the green ones, is often the reason why many people get discouraged from drinking any more of it, claiming that it’s just too bitter. That is why the brewing times are just as important as the water temperatures! 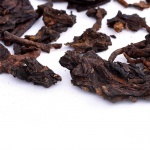 The times can vary from anywhere as little as 15-30 seconds for some pu erh teas to nearly 10 minutes for the herbal infusions, yet often all of it comes down to personal taste. The amount of tea used per brew can be quite arbitrary and how much tea you will choose to use will depend on how strong or light you prefer your infusion. However, the recommended quantity is usually a heaped teaspoon (2-3g) per mug. With teapots it all depends on how big they are. The rule of thumb is that you add one heaped teaspoon for the teapot and then another for each person that the pot is designed for. So for example, a teapot for one person should have two teaspoons of tea and a teapot for two should have three. Certain tea types are suited for multiple infusions, which means that you can use the same leaves to brew a few cups of tea. This is particularly true of oolong, pu erh and green teas, and is part of both the Chinese and Japanese tea ceremony [check?]. Apart from the obvious economic benefits of this approach, this is often done by tea connoisseurs to bring out the different aspects of the tea’s characters which manifest in subtle flavour and aroma variations with each consecutive brew. It is quite amazing how a cup of the same, familiar tea can change, so we strongly suggest you try this for yourself! 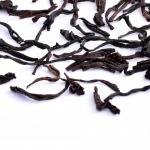 Even the white teas can be re-brewed to a certain extent and quite a few herbal tea enthusiasts also apply this method, but the one tea that should not be steeped again is black tea. Due to the high temperature and longer steeping times, most of the flavour and aroma is drawn out during the first infusion, leaving the potential next ones with little more than slightly flavoured hot water. When experimenting with multiple infusions, just remember to use the same amount of good quality water, heated to the same temperatures, but allow for additional brewing time (from 30 seconds to 2 minutes), increasing it with each new re-brew. The variety of tea ware available is rather staggering; it comes in all shapes, forms and colours, sporting all sorts of styles from the traditional iron ware to more modern glass pots and cups. Choosing what is right for you and your home can quite fun and it will definitely enhance your tea drinking experience. When choosing a teapot, keep in mind the material it is made of – iron and clay retain heat much better than porcelain or glass, ensuring that the tea itself will not cool as fast.